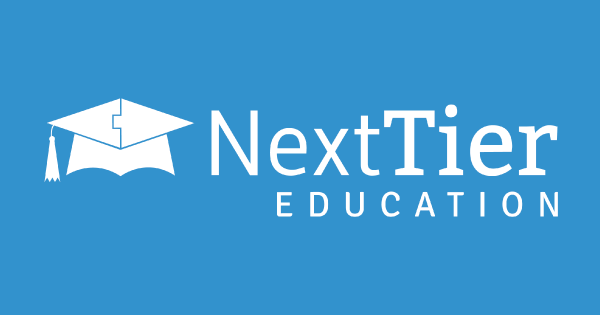 Our Company - NextTier Education, Inc. Thank you for your interest in NextTier! The account creation process is automated by your high school. If you do not have an account, please contact your counselor or school administrator. Feel free to contact us directly at signup@nexttier.com or 312-690-9996. Follett NextTier is a cloud-based software solution that provides counselors, students and parents with guidance, information and insight to help students achieve their postsecondary goals and ensure every student has access to higher education. Receive step-by- step guidance on the financial aid process with FAFSA, CSS and scholarship tasks, due dates, eligibility and application requirements, reminders and recommendations. Students can get help applying to college and exploring career opportunities. Counselors can implement their college and career readiness program through a flexible, mobile-friendly platform. Parents stay informed of every step of the way. Follett develops solutions with the educator in mind. For PreK-12 schools, Follett offers print and digital resources from over 6,000 publishers, searchable in our world-renowned e-commerce site, Titlewave®. Follett is also a leading provider of integrated educational technology for the management of physical and digital assets. Destiny® Library Manager, Destiny Resource Manager and Classroom Ready Collections are among the many tools widely used by educators to save time finding, analyzing and organizing digital and physical resources. For 145 years, Follett has been a trusted partner to PreK-12 schools, colleges and campus stores, taking care of the critical details that make it easier for schools to run, teachers to teach, students to learn and fans to celebrate. Follett currently works with 70,000 schools and operates more than 1,200 campus stores and 1,800 eFollett websites. Follett Corporation is the world’s largest single source of books, entertainment products, digital content and multimedia for libraries, schools and retailers. Follett is a $3.2 billion privately held company headquartered in Westchester, Illinois. Discover what Follett can do for you.